I’m happy to announce Falldown hit the Ubuntu Phone market! 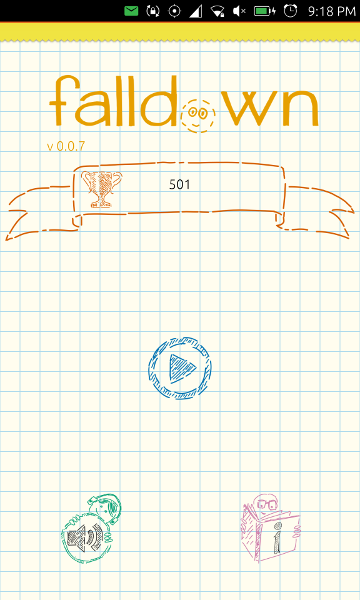 Falldown is a cartoon game where you have to tilt your phone to make ball fall down quickly with rhythmic music. Don’t get squashed! There are a lot of different powerups and malus, they’ll help you (or maybe not…) to make a great score! The game has been developed by Michał Prędotka, Tyrel Parker and me. We worked on it in last two months, and we hope we was able to create a funny game for everyone. A big thanks goes also to mzanetti, kenvandine and Elleo for suggestions! Thanks to community translators the game, other than English US, it’s available in English (United Kingdom), French, German, Italian and Polish. If you want to have it in your languages, feel free to help us translating it here. 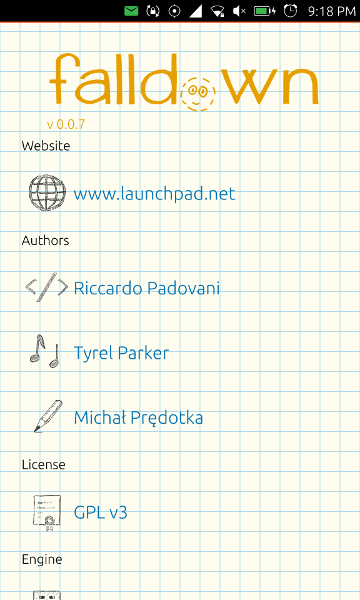 Code is available under GPLv3 on Launchpad. The game has been tested on Meizu MX4, Bq Aquaris E4.5 and Nexus 4, but we think it could work on every official Ubuntu Phone. By the way, the record in our team is by Michal, 737.